ANNOUNCING 2019 GUIDE RIGHT SCHOLARSHIPS! 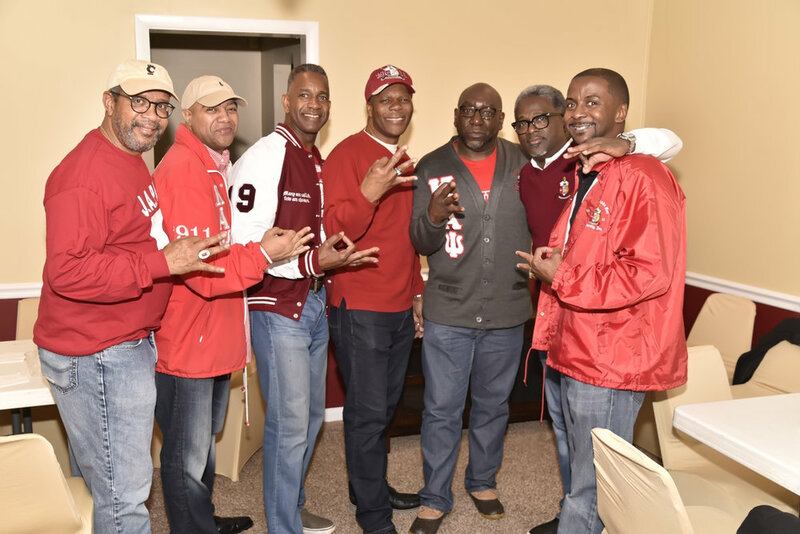 Polemarch Roderick Mack, Officers & Members of the Huntsville Alumni Chapter welcome Brother Shelton to the Rocket City! One of National Aeronautics and Space Administration’s (NASA’s) most celebrated awards was recently handed out to an alumnus of Mississippi Valley State University. Nathaniel Boclair (‘79) received the Silver Snoopy Award, which is presented personally by an astronaut to members of their various research and support staffs in recognition of their contributions to the safety of the space program. Boclair, 61, was selected as the recipient because of his exemplary commitment to excellence that is instrumental to the continued success and health of the Space Systems Operations Branch which directly impacts the success of the International Space Station (ISS) mission, its crew and the ground teams. He has served as the cornerstone of the NASA Payload Operations and Integration and has served NASA and the research community tirelessly from the Space Shuttle Spacelab era through current ISS operations. Join the Brothers of Kappa Alpha Psi - HAC in support of St. Jude. The Madison County Unit of the Alabama Democratic Conference (ADC) hosted its annual Membership Breakfast, Saturday, February 2, 2019 at 8:00 AM on the historic campus of Alabama A&M University at the Ernest Knight Center. Wisconsin Lt. Governor Mandela Barnes a Gamma Phi initiate was the keynote speaker. Nupes enjoying the 59th Charter Day Celebration of the Huntsville Alumni Chapter! The members of the Huntsville Alumni Chapter are pleased to announce our officers for our next Fraternal year. To unite men of culture, patriotism, and honor in a bond of Fraternity. To encourage honorable achievement in every field of human endeavor. To promote the spiritual, social, intellectual, and moral welfare of members. To assist the aims and purposes of Colleges and Universities. To inspire service in the public interest. The Huntsville Alumni Chapter is a proud member of Kappa Alpha Psi, Fraternity, Inc. under the leadership of our 33rd Grand Polemarch, Brother Thomas L. Battles, Jr.. Our chapter is part of our Fraternity's Southern Province led by our Provincial Polemarch, Brother Bertram K. Orum. The Huntsville Alumni Chapter was chartered February 21, 1960. The chapter strives to meet the expectations of the fraternity's fundamental purpose "Achievement". 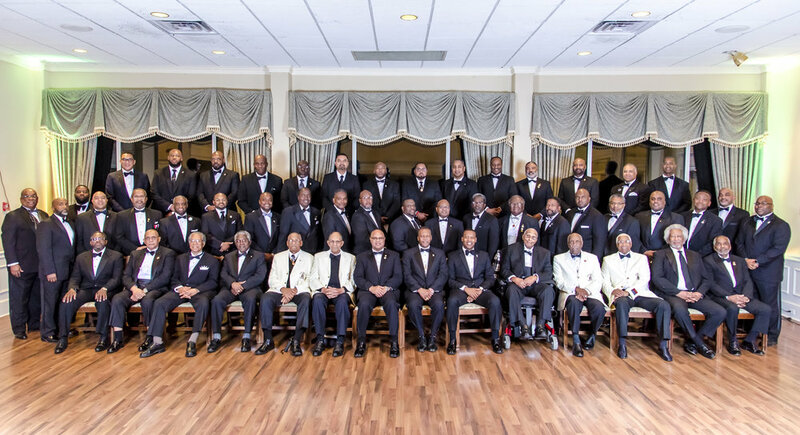 The charter members of the Huntsville Alumni Chapter are Brothers Thornton Stanley, Sr., Walter Mullins, Edwin Hill, Bennett Higgins, Nathaniel Jackson, Condredge Holloway, Thomas House, Jerry Davis, Lionel Crump, and Alfred Hill. They had the vision just as our Founders did to make a difference in their community. From its inception, every endeavor was directed toward providing service projects for the needy in the Huntsville community, leadership programs for our youth and providing positive social events. The Huntsville Alumni Chapter has hosted four Southern Province Council Meetings; 19th Province Council Meeting - 1969, 36th Province Council Meeting - 1986, 53rd Province Council Meeting - 2003, and the most recent 66th Province Council Meeting -2016. The chapter has produced a Laurel Wreath Laureate, Brother GEN (Retired) Dennis L. Via, 18th Commanding General for Army Materiel Command (and the only four-star Signal Corps Officer), Southern Province Polemarch and Grand Board Member: Brother Robert T. Hughes (1951 Gamma Phi initiate - Chapter Invisible), current Southern Province Board Member Brother Jason Jones. Southern Province Chief of Operations - Brother Michael Miller, Southern Province Senior Kappa Chair - Brother Richard Showers, Sr. and Southern Province St. Jude's Chairman Brother Christopher J. Calhoun, Sr. The chapter is also the home of Alabama A&M University Presidents Dr. Carl H. Marbury (1955 Gamma Phi initiate) and Dr. John T. Gibson, Sr. (1968 Gamma Epsilon initiate). In 2000, the Huntsville Alumni Chapter held the distinct honor of being named Southern Province Medium Chapter of the Year. 2013 Southern Province Reclamation Chapter of the Year, and also in 2013 Southern Province Large Chapter of the year. 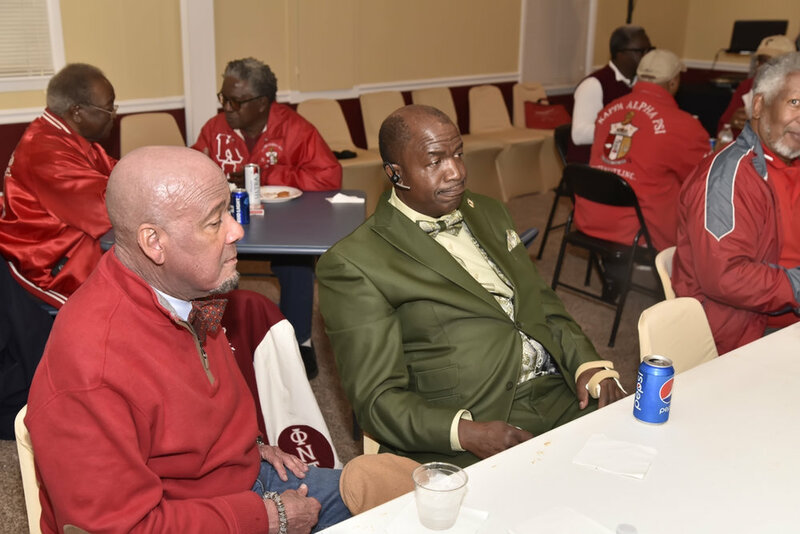 The Huntsville Alumni Chapter holds an annual Kappa Spiritual Event / Kappa Revival. From that event, our Kappa Choir has been requested to perform on several occasions at church events and other chapter Founders Day Ceremonies. The Chapter has a been very active in Thanksgiving and Christmas Food Baskets, Senior Kappa Breakfast, Christmas Gift Wrap for the Huntsville Crisis Services of North Alabama, and Adopt-a-Mile Program with the Green Team-Huntsville. 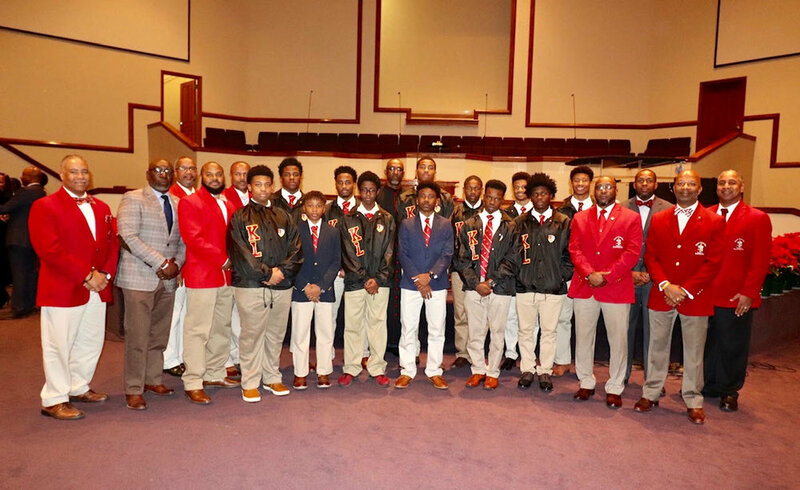 Our Guide Right Program (Kappa Knights and Kappa League) have participated in business etiquette workshops and Kappa League graduating seniors received over $200K in college scholarships. Our Golf Tournament continued to be a success, raising funds for the foundation to help scholarship for our local high school students. Lastly, we're still proud of the success we had in making the Alabama Kappa Alpha Psi License Plate Campaign a success. Our Chapter has been solid and firm, mainly due to the great leadership of each Polemarch that has led this Chapter. The Brothers of the Huntsville Alumni Chapter are leaders and strive for achievement in every field of human endeavor. Our chapter is proud to count as active members of the bound brothers who are educators, engineers, entrepreneurs, men of faith, doctors, lawyers and public servants. Carlen J. 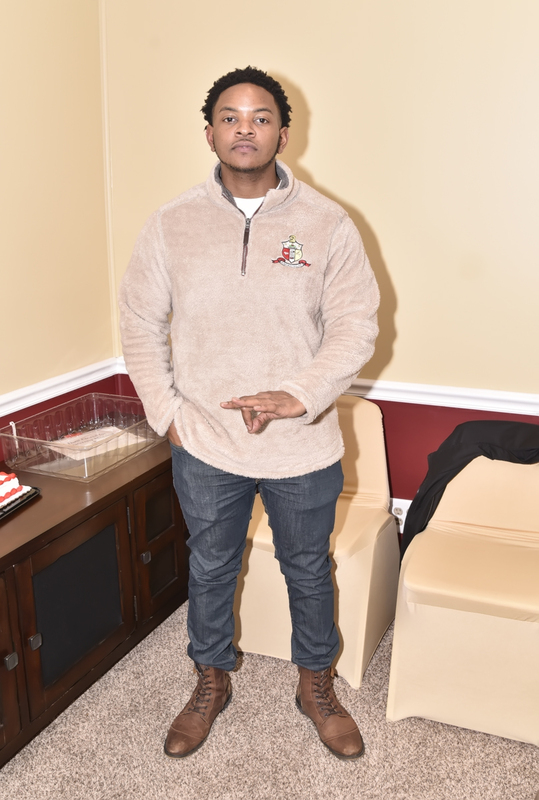 ‘Sonny’ Chestang, Jr.
Kappa Alpha Psi, a college Fraternity, now comprised of functioning Undergraduate and Alumni Chapters on major campuses and in cities throughout the country, is the crystallization of a dream. It was the vision of ten astute men that enabled them in the school year 1910 - 11, more specifically the night of January 5, 1911, on the campus of Indiana University at Bloomington, Indiana, to sow the seed of a fraternal tree whose fruit is available to, and now enjoyed by, college men everywhere, regardless of their color, religion or national origin. 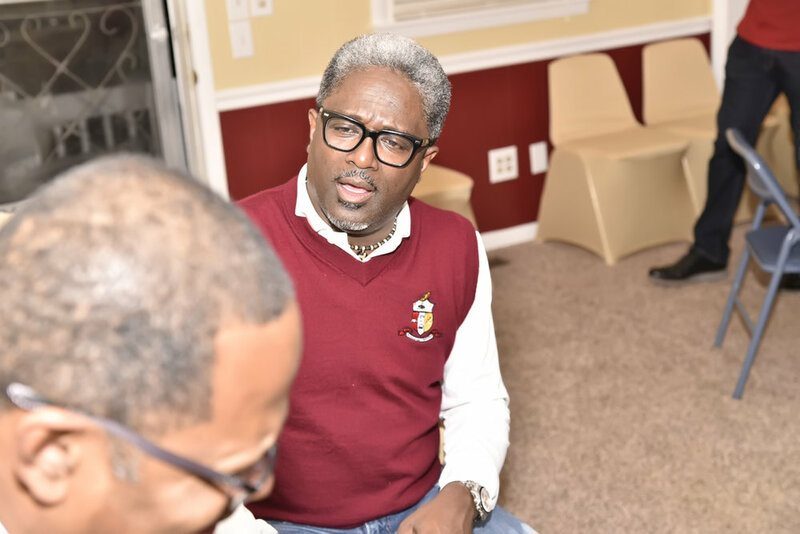 It is a fact of which Kappa Alpha Psi is justly proud that the Constitution has never contained any clause which either excluded or suggested the exclusion of a man from membership merely because of his color, creed, or national origin. The Constitution of Kappa Alpha Psi is predicated upon, and dedicated to, the principles of achievement through a truly democratic Fraternity. 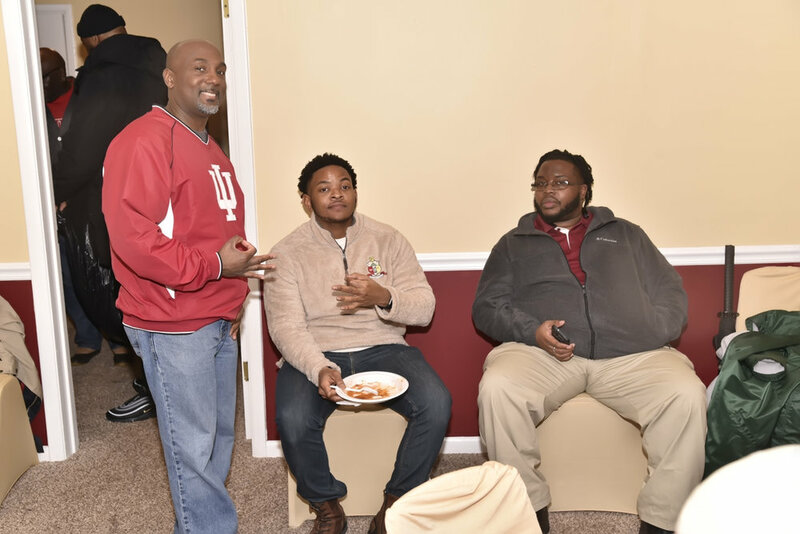 Chartered and incorporated originally under the laws of the State of Indiana as Kappa Alpha Nu on May 15, 1911, the name was changed to Kappa Alpha Psi on a resolution offered and adopted at the Grand Chapter in December 1914. This change became effective April 15, 1915, on a proclamation by the then Grand Polemarch, Elder Watson Diggs. Thus, the name acquired a distinctive Greek letter symbol and Kappa Alpha Psi thereby became a Greek letter Fraternity in every sense of the designation.